If you are an eCommerce website or other Business to Consumer enterprise, you can't afford not to be advertising on Facebook: The social media platform drove 60% of social shopping sessions in 2013. Unfortunately, Facebook is underappreciated as an advertising platform. With so many different ad types and targeting options out there, it can be hard to know where to start, and due to the high number of impressions your ads will get in a short amount of time, mistakes can be costly. There is one ad type however that not enough marketers know about that is very easy to use and converts extremely well: Custom and Lookalike Audience Ads. Lookalike campaigns will 9 times out of 10 average a higher CTR (click-through rate) - this is huge for Facebook advertising, considering a good click-through rate for right bar ads is about 0.04%! You can upload a list of your own customers, subscribers or users to Facebook. Facebook cross-references the emails you provide with its database and creates a Custom Audience made up of the people on your list who also used that same e-mail to sign up to a Facebook account. You can then target adverts to just this group. This customer data is pre-hashed prior to upload, and is therefore never visible to Facebook. It only enables you to target the audience. Once uploaded, you cannot view who is in the audience. Even better, you can generate something called a Lookalike Audience from your Custom Audiences. Facebook will look at all the profile data of the people in your custom audience and create a new list of Facebook users that share similar interests and demographics. This is a huge shortcut and a 'safe option' when it comes to optimising campaign targeting. Lookalikes generally are the best performing type of targeting in any campaign that we have run. Ready to get started? Just follow this step-by-step guide! We will be using the example of the successful campaigns for personalised children's books that we ran for our friends at Lost My Name. We've also included lots of advanced tips for experienced Facebook users! Access to your customer lists (email addresses or phone numbers). This is normally on a CRM system like MailChimp, or an ecommerce system like Shopify. To track the results of your ads, you need to create and install separate Facebook Conversion Pixels on each web page that you want to track results for. So for example, if you want to track eCommerce checkouts you may want to install conversion pixels for when a customer ads an item to a basket and completes the checkout process. Several different pictures, headlines and ad copy that you want to test - at least 3 of each, which will mean we will be creating 9 adverts per campaign. (1) Go to www.facebook.com/ads and click through to the Power Editor in the left hand column. (2) In the left hand column, open the drop-down menu and select Audiences. Select your source and follow the steps. If you choose to upload your own list, fill out the form that pops up and upload your CSV file with e-mail addresses. You don't need any other information or columns in that file. Facebook will now cross-reference your list of customers or subscribers with its own database. This should take about an hour. Once this process is completed, your custom audience will pop up in the audiences list along with the number of people in that list. (4) To create a Lookalike Audience, select your Custom Audience from the list in the Audiences tab and press the "Create Similar Audience" button on the bottom. You can specify which country your Lookalike Audience will be from. Note: Facebook will only generate Lookalike audiences for different countries if your custom audience list includes at least 100 people from the country you want a lookalike audience for. Facebook will choose the top 1% of similar people if you optimise for "similarity" versus top 5% if you optimise for "reach". We've always chosen to optimise for similarity, though you may want to experiment with both, especially if you want to generate a large group. As you can see, a Lookalike Audience will include far more people than your original e-mail list! Your Lookalike audience can take 24 hours or more to appear. You can draft your ads in the meantime! (1) If you are using Facebook Power Editor to manage your ads, firstly click the download button at the top. When using Power Editor, you have to download your campaigns at the beginning, and upload everything you create before it can go live. (2) Click "Create Campaign" and fill out the basic details. Make sure to give your campaign a name that will make it easy to recognise and distinguish from others! Pro tip: As you can see we've chosen quite a tight time frame for our campaigns. If your website or product has a Facebook page, a really good way to narrow your time frame down and increase those click-through rates is to check the times when your fans are online on the "posts" tab in your Facebook Insights. (3) Now it's time to create some adverts! First, you need to choose your ad objective, so that Facebook can track the results properly. Since we are marketing a children's book we chose website conversions, though you might also want to create ads with different objectives. For example, if your custom audience is a list of e-mail subscribers for a blog, you may want your objective for the lookalike campaign to be more "likes" for your Facebook page. (4) Make sure that you've enabled conversion tracking of your Facebook pixels that you installed earlier! 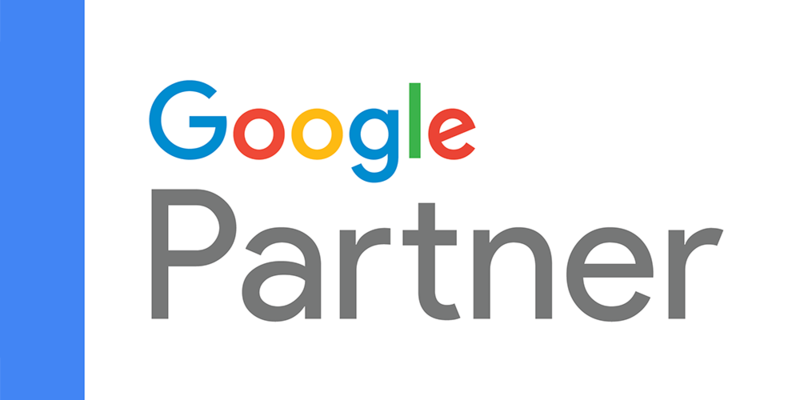 You can also add UTM tags so that you can track your ads in analytics tools such as Google Analytics and Mixpanel. Note: Facebook attributes conversions differently from other analytics tools, which is why it's always a good idea to include both. The default attribution model for Facebook measures both immediate conversions upon clicking your ad, and also counts as a conversion if a user that has clicked on your ad makes a purchase on your website within 28 days. (5) Create your ad! If you are creating News Feed ads like us, you can choose to promote an existing post or create a "new unpublished post", which will only show up to those you advertise to. A preview of your draft will appear on the right. There is currently no way of editing drafts, so try to plan your content in advance! Pro tip: If your campaign goes well and you want to repeat it, it's better to duplicate the campaign and the ads within it rather than create everything from scratch. You will not only save time, but the ads will 'remember' the engagement that they generated! (6) Select where you want your ad to appear. Make sure to only select "News Feed" if you've created a page post ad so that your ad doesn't show up in the right bar with just the first few words of the page post ad copy. (7) Target your custom or lookalike audience! In the "Audience" tab, select "Advanced". When you start typing, Facebook will give you a drop down list of audiences you can include. When targetting lookalike audiences to find new customers, make sure to exclude your custom audiences of existing customers! (9) In the "Optimization and Pricing" tab, choose how you want to pay for your ads. The general wisdom for Facebook ads is to choose to pay per 1000 impressions (CPM) to get your ads in front of as many people as possible. We started with the default bid, and then chose a maximum bid based on the average of well-performing ads at a later stage. (10) After you're done creating your ads, hit the "Upload" button! Facebook will need to approve your ads before they go live, so you need to create them in good time. (11) If you are looking for a faster way to create Facebook Ads, Driftrock also has an ad creation tool like Power Editor. Get a quick demo ! Step 3: Review Your Ad Performance and Optimise! The work doesn't stop here! The first campaigns you run should have quite a small budget so you can figure out what works and what doesn't before you ramp it up. After each campaign, you need to review its performance and come up with ideas of what you can optimise going forward. If your campaigns don't have high click-through and conversion rates then you will be wasting a lot of money showing your ads to people that are not interested! (1) In your ads manager, click on your campaign to see the results. We found that the "website conversions" column doesn't correspond with our tracking pixels, so click "select full report" to see all the data. (2) Click on "edit columns" to add more information to your report. We like adding "advert" in the "conversions" tab under "data aggregation", as well as "age and gender" under "data breakdowns". You can then sort your tables by the number of conversions (in our case check-outs), and look at the demographics of those who bought or subscribed. Females over 30 were most likely to purchase the Lost my name books. The next time you create your ads you can narrow down your targeting in the "Audiences" tab! This little trick almost doubled our Clickthrough Rates! 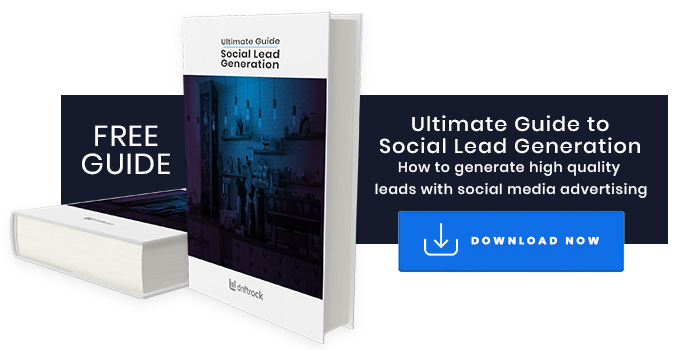 For inspiration and top tips on how to run successful social media lead generation campaigns, check out our free guide below. Want to find out more about our custom audience automation tool 'Flow'?